Premium 8-Piece Towel Set Just $24.99! Down From $60! You are here: Home / Great Deals / Amazon Deals / Premium 8-Piece Towel Set Just $24.99! Down From $60! For a limited time only! 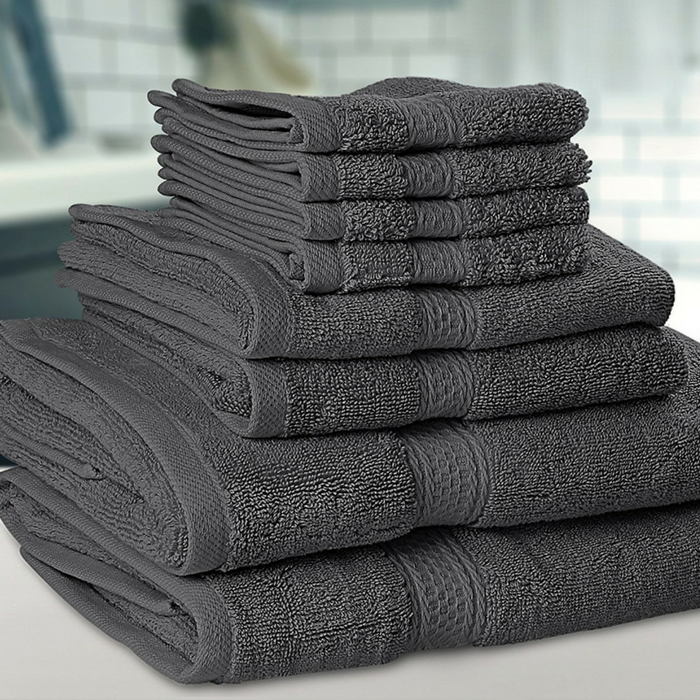 Hurry over to Amazon to score the #1 Best Selling Premium 8-Piece Towel Set for just $24.99 down from $59.99 PLUS FREE shipping with Amazon Prime or for orders over $25! How refreshing it feels to wrap yourself in a soft, absorbent, fluffy bath towel after a warm shower! Made of 100% cotton fabric, these towels possess breathable characteristics which make them perfect for your hands and body. It is hypoallergenic, agreeable to touch, and is ideal for people with skin hypersensibility. Being terry in nature, theses weaves are the most absorbent of all kind with loops on both sides that create extra surface area for completely drying off your hands and body.